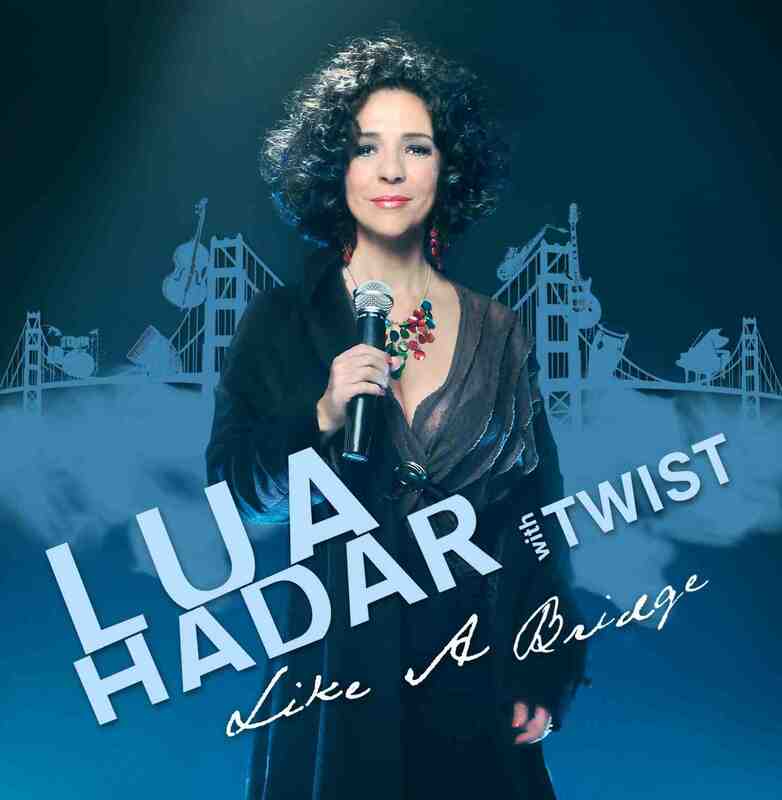 Lua Hadar is a multi-lingual vocalist and actor, a teaching artist and an independent producer. She has a lifelong commitment to cultural exchange and has enjoyed collaborations in Bali, France, Italy, Japan, Russia, Switzerland and Thailand. The mission of her band, TWIST, is to create world harmony through music. A unique and original vocalist with a soaring range, Lua interprets lyrics in several languages with a charming, swinging delivery, as well as passionate commitment and humor. She has appeared at Yoshi’s Oakland, The Fairmont Hotel, The Palace of the Legion of Honor, San Francisco’s Rrazz Room, The Plush Room and Jazz at Pearl’s, New York’s Iridium Jazz Club and Cornelia Street Café, the Swan Bar in Paris, Theatre Les Tisserands in Lille, France, and at the Bangkok International Festival of Dance and Music. Her performances at Somethin’ Jazz Club in New York City and The Jazzschool (California Jazz Conservatory) in Berkeley, California released her 3rd CD, Like A Bridge, recorded at Fantasy Studios. The band premiered its DVD Like A Bridge on the big screen November 15, 2012, at the historic Balboa Theater in San Francisco. The DVD, which received an award nomination from the Independent Music Awards, had its Official Release at the San Francisco Bay Area’s top jazz venue, Yoshi’s Jazz Club, on September 30, 2013. Hadar continues the Bridges Project through 2016, with French and Italian language shows.